How about going a little South from Bangalore to witness the fair rocks on a summit? Rangaswamy Betta or Bilikal Betta, lying at around 70 km from Bangalore off the Kanakapura road, is what we’re talking about here. The hill is a part of the forest reserve that has a thick vegetative cover of shrubby trees. The festival at the Ranganatha Swamy temple is a big affair for the people of the locale, and every year sees thousands of followers making their hike of belief up the hill. Over the years the path taken by the people has turned into a standard trekking trail. Observe keenly, as you hike this trail through the forest of shrubs; maybe you'll catch a glimpse of one of the medium sized animals that has made this place their home. 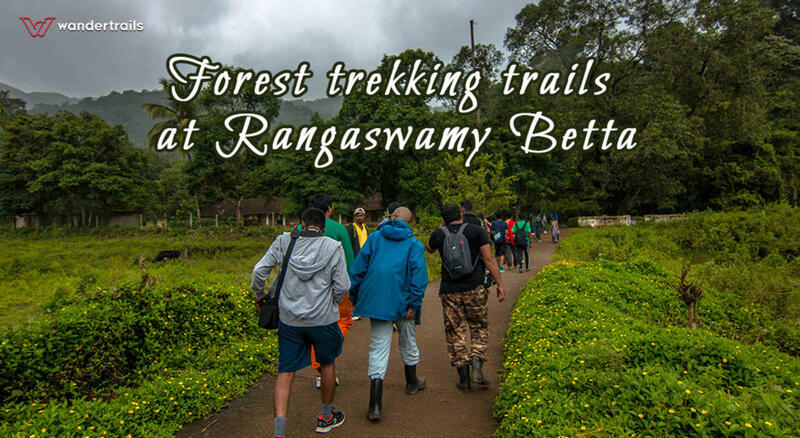 The start of the trek from the base is a fairly easy one, but the forest grows denser as you gain altitude, throwing some steep slopes which makes the hike an enthralling one. The steep climbs and descends will definitely put your workout days to test! The trail offers even lands in between that lets you take a breather and digest the beautiful vista in front of you. On summiting, you find yourself in a vast field of whitish rocks, with a huge rock housing the temple located to a side. Different slopes in the Kanakapura range, including Kabbaladurga, Savandurga offer beautiful view from the peak. Night trekking always means the best sunrises you will ever witness, and this one is no exception. Lose all your worries and let the sun brighten up your spirits before you make the descend.